The rooms and suites are elegant yet functional. Expect light rooms with pure colors, high end materials and lots of space. 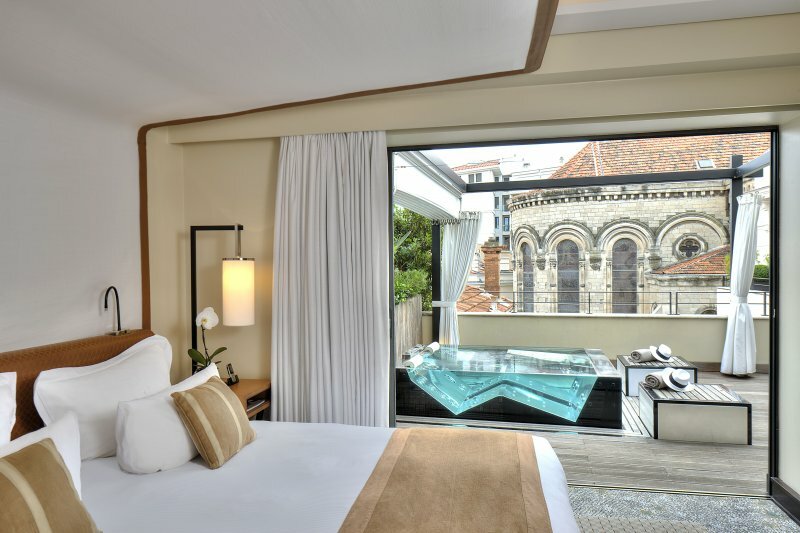 Just as the rooms, the suites are all designed within the same style and vibe. All suites come with a private balcony and offer a spacious hideaway overlooking the Med. The restaurant at Hotel Les Roches Rouges is of outstanding quality just as the hotels itself. The restaurant offers a spectacular roof terrace that overlooks the Med. The chef serves refined Mediterranean dishes, which change according to the morning’s local catch. The hotel offers a luscious spa that is inspired by natural ingredients from the sea with regenerating effect, nutrients and essential minerals. The spa offers several treatments that can be booked prior to arrival. The 'secret garden' is the perfect hideout for lazy days, reading or maybe some yoga. The hotel offers 3 bars around the estate so you can have a drink or a light snack if you prefer. There is a 'beach bar' that serves great sunset cocktails. The hotel offers a pebble beach but we far more prefer the outrageous and breathtaking pool, filled with natural seawater en 30 meters long. Perfect for a morning workout or poolside, sun-soaked drinks while overlooking the Azure coloured Mediterranean. The location is ideal for day-tripping as it is right between Cannes and Saint Tropez and the inland also offers some great historical villages, golf courses, restaurants and vineyards that make world famous rosé's! The hotel is a perfect starting point for a day on the water with many marina's around. Saint-Raphaël is a futuristic traditional French beach village. 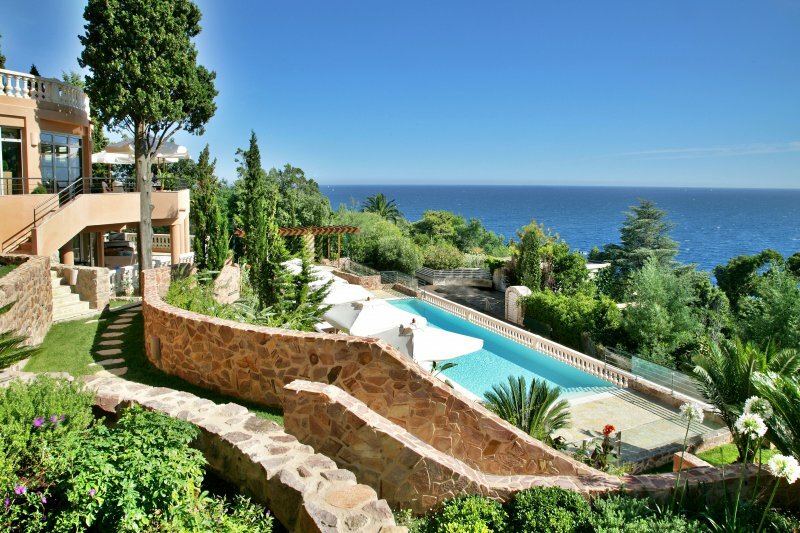 It also has many tucked away villa areas further uphill and a breathtaking coastline with some historical villas. Some are privately owned and some have been transformed in to luxury boutique hotels and vacation homes. As the name already reveals it is a villa, transformed into a luscious boutique hotel with a private port and private beach.